know that Apple is overtly common in the English-speaking World in the States, Canada, UK and Australia BUT Asia is far from that in proximity and culture which work directly for/against in the process of sales and repair . so do NOT expect the kind of service, no matter the bill-board dream of Global Enterprise . directly onto Apple Korea website and their phone listed there . they are NOT fluent in English but I cannot take place of their service line . no matter now large OR Apple-glitzy they might seem in interior design and uniform ..
and is loosening only recently due to Global popularity of iPhone, iPad AND MacBook Air and its’ citizens’ yearning for them . so although an iPhone and iPad IS THE device to have in 2011, it is more from hyper-trend than of die-hard fans of Apple as we see line-up blocks on the eve of a new product . but with the influx of iPhone, iPad AND MacBook Air times are changing . some a single company in itself while others a small chain . but be careful for while more places care for smaller products, only a handful even in all of Korea care for MacBooks as well as full-fledged Macs . in outer regions where none is available, support is delegated to Korea’s fallen electronics conglomerate DaeWoo’s own Support Centers . and as you might imagine support centers caring for iPhones and iPad have increased much over the decade past Millennium due popularity while not much has changed for MacBooks and Macs . so here I will list only those who can fix ALL, including your computer . while Google has now come to cover sufficiently addressing Korean AND the same put into English but still with random glitches such as disappearing blocks – thus why I am not using maps on locations yet . from its hard-working days like neighboring Japan where you worked half on Saturdays too . meaning, SOME will be open until lunch time on Saturdays, and closed Sundays and official holidays . then from North downward South onto further cities . if you are providing good deeds in smaller towns it might be better to send it in onto Apple’s directly-run support center . no way I’m going to keep-on updating this for contracted-stores are increasing at a rapid rate in 2011 only second to Apple App Store updates . none in Ulsan so you have 2 choices each in either Busan or DaeGu, mapped on the bottom of this Page . staying over-night at either deluxe hotels on HaeUnDae Beach or cheaper motels in-land . – one subway station North, and this would be the fastest route if you are in a rush . – one subway station South . so Good Luck in the motor-city by the shores ! “Which Support Center to Choose ?” – the One Million Won Question, justly the price of a new higher model iPhone or iPad ..
first, if your problem is complicated OR can wait : it is best to go to a real Apple Support Center abroad, including neighboring Japan and Hong Kong . although elders who have no clue about technology implement this even at conglomerate-run support centers such as SamSung or LG, when they really DON’T need to : start raising your voice and end up shouting, short of smashing all including living being around you . but in a rational way, far from mentally challenged . should look obvious you will do everything to appeal this event today . yes, is un-civilized AND barbaric, but this Peninsula has developed too quickly technologically, while the native Korean impulse is quite a-Live . would you believe dinosaurs roamed this land and there’s even a commemorative museum down South ! there will be more younglings who speak English at the sales section than repair corners, so plead one over and communicate clearly that, if they refuse your insistance : you will file a claim to Apple directly when you return to the States . while you have been treated un-Apple gestures because this is NOT a direct Apple-run support center, IS exactly why this will work . because the last thing a local Apple-contractor wants is a claim directly from Apple USA in return . and later in YongSan Electronics Market . a booming business counting up to the Millennium bore more for hacked gaming machines including Sony PSP’s . found by local search engines as well as dedicated user communities . I’d rather NOT recommend any here for they come in many flavours, but ask a local friend to search in Korean . you can have it fixed for W100,000 ! ( September 27th Update ) Google Map for MacBook repairs in South Korea except the Capital of Seoul . Great Blog… I will be traveling to Seoul for the first time in a weeks time. and unfortunately while there I was hoping to get some “macBookPro” work done there. I have been working in Sarajevo Bosnia for some time and they have no “apple certified repair” places here. Of course a place that speaks english would be helpful to me. I will relay a couple of calls to find an Apple support center which may best suit you . but always an aspiring techicians who want to try out the language in the larger ones . Ubase at Yongsan Ipark Mall 8F replaced my USA bought 64G Wifi Ipad in two days. I was going to ship it back to the USA to get it repaired. Now my only problem is my wife getting angry when when she sees I have a new Ipad 2 next week. Lucky for me there is an online 2nd hand market for Ipads, etc. Ubase was very kind and fast. I have been burned on american bought PS3/Epson products and even a Samsung (export) HD that were REFUSED service because they were not a KOREAN PS3/Epson/Samsung. BTW buying a 3G ipad is stupid because you can use a wibro egg for 50G data as cheap as W10,000 won (bundled) or using your phone as a hotspot. is there a way to know if my iphone is factory unlocked?thanks..dunno where i can find applecare here in korea..
hope we could understand each other since i am not fluent in Hangul language ..but i might try.. This website was referred to by Apple. It’s a great site and I’m glad it exists. Although, I am a bit terrified now with the prospect of trying to get my MacBook Pro repaired. I am experiencing hardware problems and have tried the usual do-it-yourself fixes. I need to take it in to someone. It is still under warranty and should all be covered by Apple. I live in Suwon and can get around Seoul fairly well if I know exactly where I am going. I tried looking up the location you have listed for Seoul (UBASE in Bucheon) and I am having no luck finding that in google maps. Is there another location you would recommend in Seoul for the type of service I need? Or perhaps provide transportation instructions? Thank you so much for this site and your help. I’ve updated the ‘Apple Support Page’ on the top menu, to include a MacBook repair center in Suwon, as well as neighboring BunDang – in the bottom map . try your local area first and if things don’t work out, one best-traffic location in the Capital – again, it is better to go to a center NOT in or adjacent to any Apple reSellers – Good Luck ! great site! my macbook air battery is having a lot of trouble charging. it’s 1.5 years old and i have charged it various countries and i think it is almost fried. i think the battery needs to be replaced. any suggestions on where i can go? i am on an island south of busan. battery malfunction can have serious impact on your machine, so should have it looked at on first sign of err.NO support centres on cozy GeoJe Do island, so take a boat ride onto Busan Port, and one awaits you two subway station North from the dock – mapped on above Page . Wow,thanks for the immediate response!!! This is a great help. Very informative!!! I have a new Ipod touch gen 4 and I have just cracked the screen. I am inquiring as to if your company can fix this problem? If so how much would it cost? the ONLY protection against cracked screen is pre-insurance, since it will mostly be user’s fault . BUT aside from Apple care, ONLY cellular iPhones and iPads are subject to those included in plans from telecommunications companies when signing up on a NEW device . I am an American that lives in Mongolia. I will be traveling to Seoul in a couple of weeks on my way to Thailand. I have a Macbook Pro that needs to be ‘looked at’. It went into sleep mode and now the screen won’t come on. Any suggestions on the best place to go for that? Also, will I need to make an appointment and would that be possible to do in English? Thanks! your symptom may only be a bug, so check the Mac forums . other-wise, it would be best to go to a country AND city that has an Official Apple Store for a reliable support, both of which South Korea NOR SEOUL don’t have yet . repairs are out-sourced so service depends on product AND contracted-branch location . 1.if you are unfamiliar with iPhone operations, search for a basic manual On-Line and make sure you have received a defective product . 2.Official Korean sellers are bound by law to REFUND for any reason within TWO Weeks of purchase, so bring it back immediately if you bought NEW . if you purchased from an Official telecommunications branch : “unstable connection” and “mechanical errors” are stronger case than random malfunctions . 3.you may have a problem if bought USED, so don’t lose a day and seek the seller, and if you cannot : take it to an Official Support Center, whose location is updated on the Korean Apple Website – better one that is NOT run together with a sales outlet . Hi! I’m currently living in Hagye-dong, Nowon-gu, Seoul, South Korea, the fan of my macbook is really noisy and i’m planning to bring it to the closest mac support center to get it fixed. I was wondering if you could refer any mac support center near by. How much do you think the fan repair would cost? I’m a student and i really dont have that much money. Do you think it would be better if I’d just buy a machine that blows compressed air instead. [FAN] is the constant moving part of all computers, would start making noise over 2~3 years, especially if your room is NOT organized or have pets . you can clean/exchange this yourself with minimal utensils, but is dangerous and possibility of voiding precious Warranty, so advise NOT . at repair centre may cost you over W100,000 also may have to leave over-night . I just moving in Ulsan Dong-gu area. Anyone know any apple service centre in Ulsan area? Highly appreciates if any one of you can help me. I am visiting Chuncheon-si in Gangwon-do for vacation. Unfortunately, I got my iphone 4s a little damp after running 7miles yesterday. The main issue is that the phone will not charge anymore. Do I have to go to Seoul to try to get it repaired? Is there any place in Chuncheon that I can go? 3.you basically have two options : take it to an authorized Support Center, or quite many independent repair shops abound – difference is the latter will cost half . I have owned my mac for not over a year. Over those months, I have attended a school where we must use Macs. Today I have caused trouble to my mac. I have dropped it and the corner has crashed a little, breaking some glass. I am currently living in Suwon and will go anywhere near here to fix my Mac. Do you have any recommendations anywhere near Suwon? And also, is my mac able to be fixed if I go there? Hi need to repair my macbook air, is there a place in Ulsan?? i was after new keys for my keyboard. Suwon edited and ULSan added, as Apple contracted more with the ill-fated Daewoo Electronics repair centres ..
First, My Respects to your COOL Name AND eMail address, and while I already have answered with suggestions on iPhone cracked screen : know the vast difference on whether you will have to pay for repair or exchange, depends on how it is cracked . ONE single line may be fixed with Warranty, while a blast would be user’s fault . (E) however it is such an era that users as well as dealers, will buy Apple devices with cracked screens or even broken ones, so again you will need help from a Korean speaking friend to search On-Line . so this is my recommendation : to sell yours and buy a new or another used one in its place . Will any of the aforementioned apple-contracted support centers replace a phone under warranty? (I’ve already spoke with the U.S. Apple customer service, requesting that I ship the phone to a mainland U.P.S. Depot for repair or replacement.) Do you think that anyone above would (a) honor the apple customer service issue I.D., and (b) replace the phone out-wright? I’m grateful for any help…thanks. 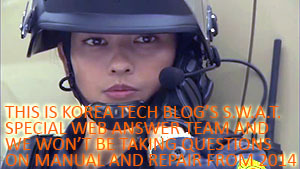 most of my Post and Pages are regularly updated, but the safest Answer is that it depends . (1) foremost you should understand this is no Apple country, so all will try to stick only to existing contracts with Apple, and some refuse to accept the responsibility . (2) so far the Official rule is : iPods and Wi-Fi iPads have World Warranty, but iPhones and Cellular iPads are stuck with local warranty . (3) however an exception is in-bound travelers, and sometimes they also tuck-in foreign residents under it . but you will have to spend the time calling/emailing/faxing to connect the mis-pointing nodes . 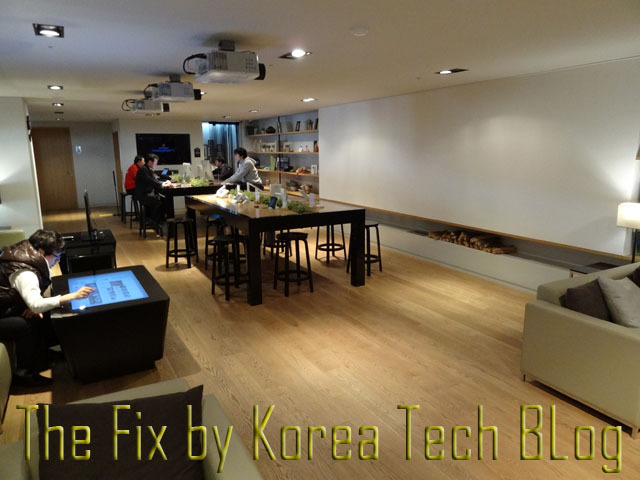 (5) also there are now ample independent repair shops, searchable with the help of a Korean-speaking friend, where they may fix yours at HALF the price of Apple-contracted support centres, BUT may void your local warranty so I advise against it . I have an iphone 5. Its American model a1429. Its still under the one year apple warranty. The power button stopped working. In the us apple will just replace the phone. Is there a service center in uijenongbu that will honor the warranty? and will fill in more details when time allows . p.s., travelers tend to get more than resident status, in case of Global Apple Warranty here . Hi, I’m currently living is Seoul and brought my work iPhone 4s along with me and eventually got it set up for use. Now however, i have a cracked (very minor but annoying) display that I would like to get repaired. I took it to one of the Ubase locations in Gangnam and was told they couldn’t touch it because it wasn’t bought in Korea. So, now I’m trying to find out where I can get my display fixed. since you have provided your situation in detail : I would presume you were denied support because you told them you LIVE here, instead of a visitor . if this is NOT the case : report to Apple Support States-side . i have had my MacBook Air since the 1st week of December 2014. I’m from Canada and just arrived to daegu last Sunday night. So I don’t have a cell phone yet. For some reason my MacBook would not charge it is stuck at 18%. After shutdown it wouldn’t load past the wallpaper. This is the 2nd time that I have had problems with loading, in Canada I called AppleCare and it had to reinstall OS X. So I was wondering do I have to go to Seoul to get it fixed? Or should I just get someone in daegu to fix it? Can i downgrade from ios 8.1.3 to ios 6.1.3? I am from gyeonggido,gwangmyeong si. No more questions on this Please and Good Luck ! Apple is asking me to take my IPhone 6 to this address for warranty service in Pyeongtaek but I can’t find the address on a map. Can anyone help?. I don’t speak/read Korean so it’s a little harder for me. Thank you! As spoken, below are details of Apple Authorized Service Provider near Pyungtaek. Since the address system has changed, I included both new and old addresses, which the location is the same. Could you also please let me know when and what time you are going to visit as I need to inform them of your visit. 1.Korean address spelling has largely changed once from the Korean War (when the US Military need to put everything on the map) and 1988 SEOUL Olympics (when the government saw the need to put everything up to international standards) and putting the correct spelling on such an important city (but in reality a town) where a massive (US Military) relocation is taking place . 3.When inquiring cellular support : include which carrier it is subscribed to, or empty as you may have additional option to visit telecommunication repair centers . it is a very central and convenient location : PyeongTaek Train Station Exit 1, turn Right (to South-East) and past the Express Bus Terminal – it is at the end of the next large block, along with Kia Motors ShowRoom . *acting as a traveler (with documents to prove so) will render you better service without cost, than residing here even temporarily . I know you have answered whether there is a repair shop in Ulsan but i see that was in 2012… Do you know if there are any repair centers in Ulsan to fix my crack screen/LCD?